Yes, the glass amplifies the organoleptic qualities of wine. Because different areas of the tongue and mouth, along the irreplaceable nose job, are responsible for us appropriately perceive the taste sensations to make the best wine. Wine and Stemware. Which glasses choose? Objects of design. Beautiful, elegant, slender. Glasses with room for your nose, organic forms to release and give off the fragrance, ergonomic grooves for the thumb. The wine container has already enjoyed what it contains. How many different types of glasses are used? And what is the best glass to taste the Barbera d’Asti? Here are some tips to better enjoy the fragrance and flavor of your favorite wines. Is there really the right glass for the right wine? To taste the bubbles of champagne the the flûte is better than the champagne coupe because with the flûte the freshness of the tiny bubbles goes and hits the central part of the tongue, the area with a greater palpable sensitivity and then it goes back of the tongue, where there we sense bitterness. That’s why we say bitter aftertaste. Partly because the bitter taste comes towards the end. But also because the area for bitter is in the back of the tongue. With a coupe the wine opens on the sides of the tongue, responsible for acid and salt, and the sensation is not enjoyable.To enjoy an aged red wine it’s better to use a large and open glass because the wine needs to be oxygenated in order to release its fragrance. A rosé wine really needs the tulip glass because its aroma is delicate and must be guided towards the nose. 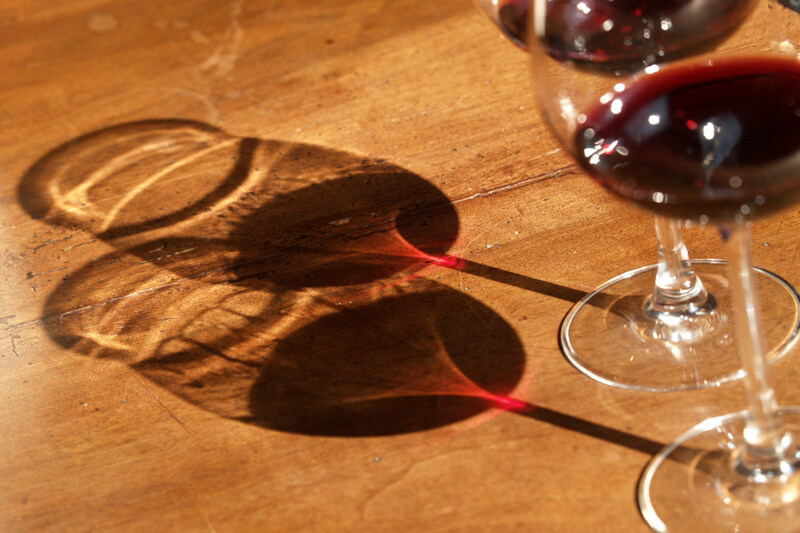 A wine so pleasant, fresh and versatile lends itself to the use of red wine glasses, round with a long stem. The younger Barbera d’Asti’s are more suitable for a glass with the edges which open slightly allowing you to really taste the fruit notes on the tip of your tongue. For a Barbera d’Asti Superiore or a Nizza, which are more complex wines, wine glasses that start wider and then taper in towards the top and the edges are more suitable. This is so the bouquet is properly released balancing the concentration. As the wine flows toward the center of the mouth, taking it over and releasing all of its flavor and intensity.